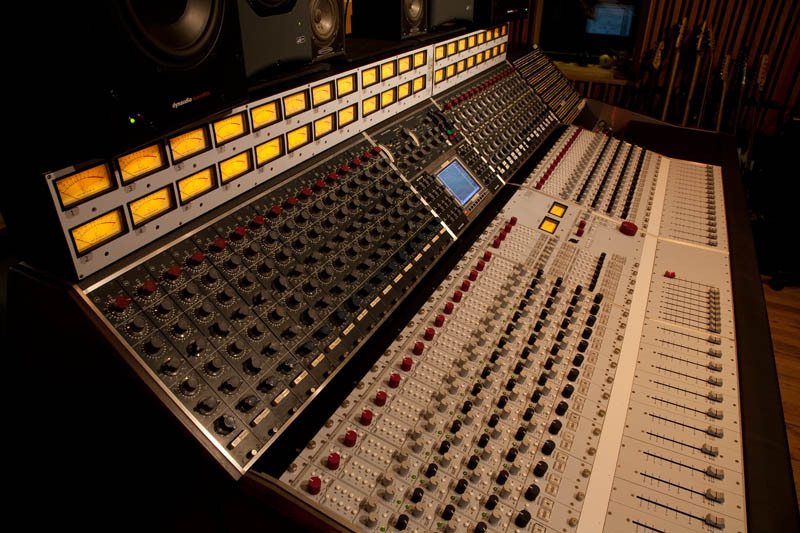 dB Sound Design can build you anything like the unique Neve "Time Traveller" pictured above mating a Rupert Neve Designs 5088 with the vintage Neve 1064/1081 custom penthouse. 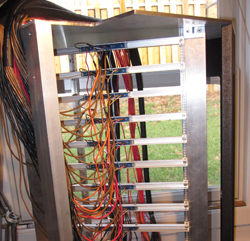 We can also provide you with patch bays custom racks, any style, size or model. Click on any picture below for large size image examples of recent work. We can do it all!! Custom rack enclosures for our friends @ Orange Music. Simple and affordable @ $750/ea. 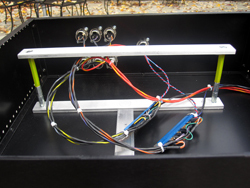 Wiring the custom penthouse for the Time Traveler Vingage Neve 5088 console supplied and built by dB Sound Design for the Blueman Group production team.